Start your review of Amy Armstrong. Thank You! 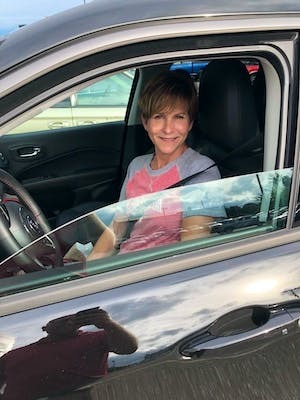 Your message has been sent to Amy Armstrong at Eichenberg Chrysler. My salesperson Charlie was amazing. Made me feel extremely comfortable and answered all my questions. Very clean facility and all I met were extremely nice and friendly. Felt no stress and was not pressured into anything. Would definitely recommend this dealership and will continue to do all my services and future purchases thru them. 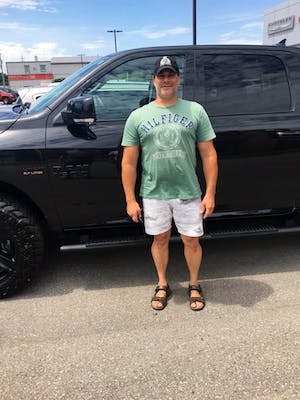 We are always treated well when we go to Eichenbergs' in Tillsonburg, Charlie Sofalvi has been helping us with our vehicle trades and purchases for a long time, Charlie is always the person we look to for information on vehicles we are interested in. If I had to say the only thing I would have liked would be winter floor mats for my car, at this time of year, that would really have been a bonus. "Jeep Up the Good Work!!!!" Had a wonderful experience! 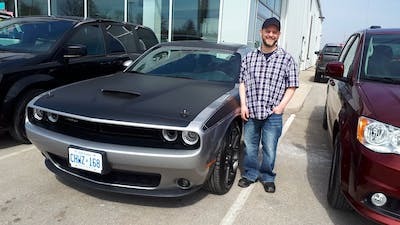 Jake was very knowledgeable, friendly, patient and helpful! Don did a great job on the finance end and Amy was always so smiley and personable when I came in. Love my new Jeep and will definitely recommend Eichenberg's to family and friends!! I had a great experience with this dealership, very helpful and knowledgeable. Bill made getting into a new vehicle easy. Im very happy with my new van and will definitely come back for my next one. Staff was very friendly and had good knowledge of the truck. My first visit to this dealer and would recommend to any one. Nice and clean in facility. 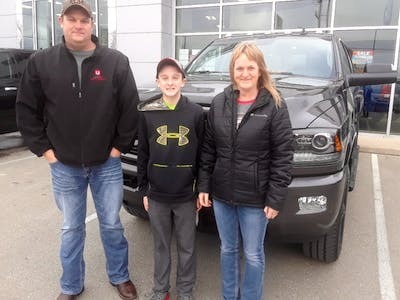 This is actually our second new purchase in a 7 month span, we were so happy with the service that we received from jake and Eichenberg that when It came time to replace our second vehicle it was a no brainer to give jake another visit! 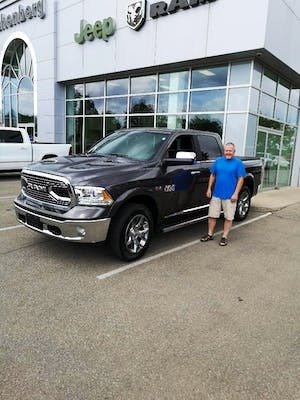 we once again received friendly, professional service and are very happy with our new truck, I am definitely a customer for life! I will continue to recommend Eichenberg to my family and friends! "Gently Used Chrysler Pacifica Purchase "